Fear has the power to expose you! Have you ever been in a position where you were so afraid that you discovered your ability to do things that you had never done before? Like jumping over a wall when you were being chased, or lifting something heavy that you normally would not have the ability to lift? In times of fear, our bodies release the hormone called adrenaline that initiate the fight or flight response. For some, fight mode is activated more often than not, for others, it is flight. In whom was David’s confidence? It was in the Lord. He was pushed to run to the One he believed had the power to deliver him. See Psalm 56:3. Situations that breed fear can be either good or bad. We see that it can reveal things about you that you did not know. On whatever side of the line you fall, meaning, whether these situations bring out the best or the worst in you, you will agree that they are opportunities to find your safe place in the Lord and get closer to Him. 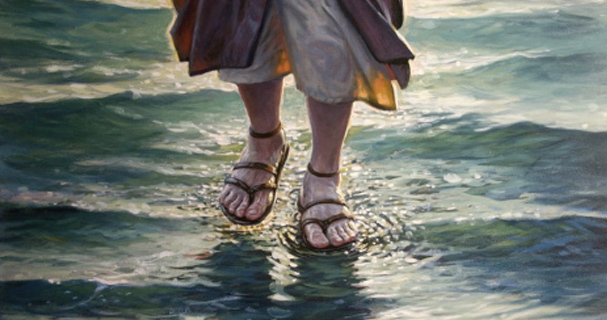 PETER in the scenario where the disciples were filled with fear, discovered that he could walk on water! Matthew4:29. Oh the endless possibilities that we will unearth if we would just be open to the Lord in EVERY situation! Think for a moment: When was the last time you felt afraid? Did it reveal your lack of confidence or trust in God? Did it reveal your inner strength, or did it expose a weak area in your life? Fear has the power to expose! Father, I thank You for the situations that I face, which the enemy intends to use to breed fear in my life and to cripple me. Lord, I confess that though my body may tremble, my spirit and soul will be at rest in You, for You have secured my peace in Christ. I pray that You Lord will help me to be attentive wherever fear is lurking, so that I may learn my strengths and/or my weaknesses through those times of testing; that I will become the man/woman that You want me to be; that I may find my safe place in You and ultimately get closer to You. I pray in Jesus’ name, AMEN!